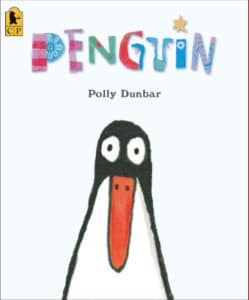 Penguin by Polly Dunbar is a heartwarming story about the friendship between a little boy and a penguin he gets for a present. It provides lots of reflection opportunities about communication and being friends. This story is great for teaching kids language for common behaviour and games, e.g, play with someone, laugh at someone, get upset, love someone, tickle someone, make a face, imitate someone, ignore someone, etc. It connects very well with a topic on friendship and/or feelings and emotions.